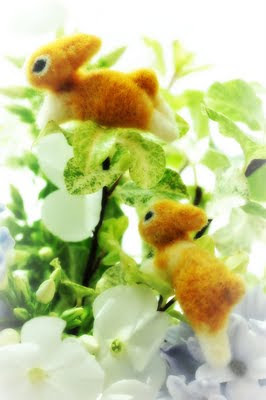 Disney's Alice in Wonderland has influenced me alot since babyhood. I remember my parents show me Alice in Wonderland cartoon, and brought me colorful Alice in Wonderland story book when I was still in kindergarten. 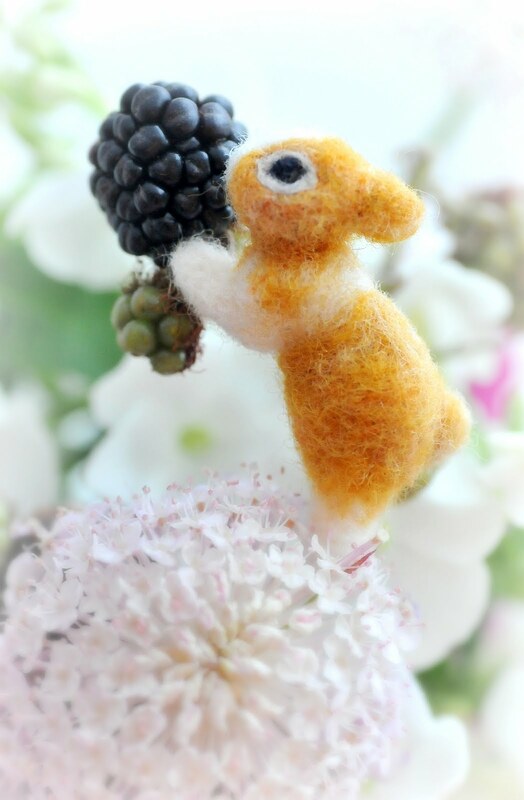 I understood nothing about this cartoon, I could hardly even read a word in that English story book, but I love the pictures, love all the characters and scenes. 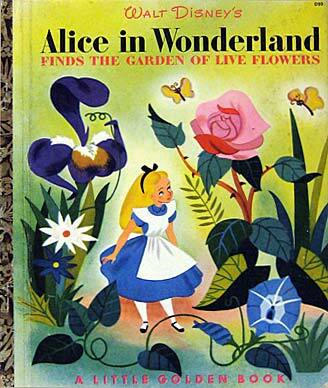 My long lasting love for flowers, cats, rabbits, pastries, teapot, mushrooms, bottles, pastel colors may all have been grown out from this cartoon. 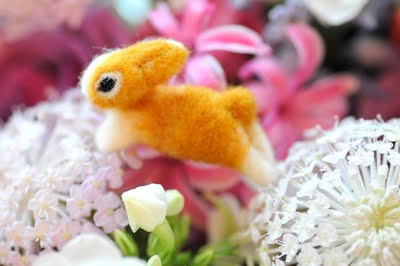 The scene which fascinated me most is Alice talking to huge flowers. That scene is so beautiful. 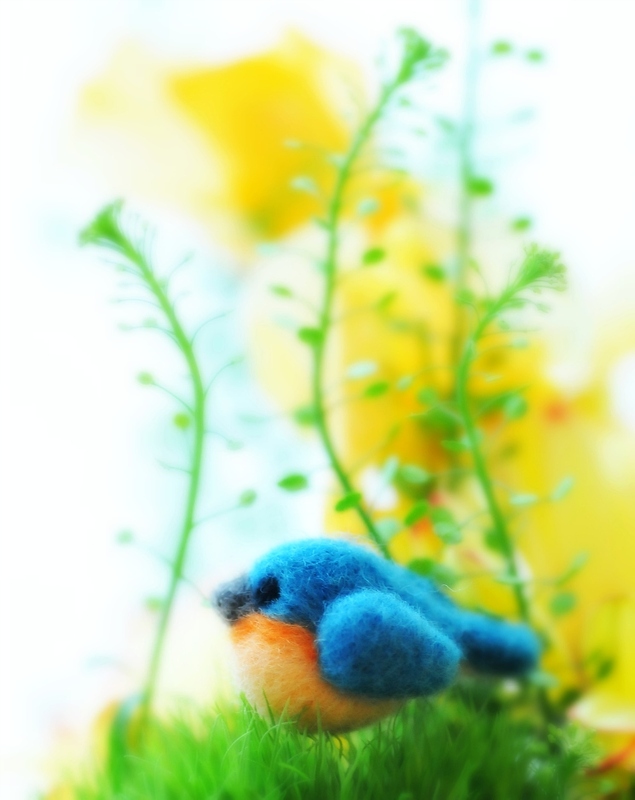 I started to dream of having a garden of my own but I live in high storey buildings all my life and never have the chance to own a garden. 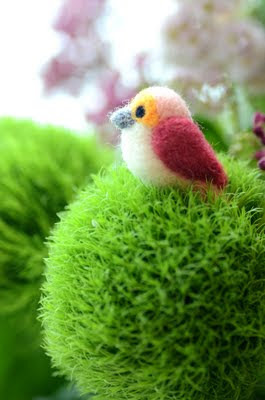 In order to partly fulfill my desire I decorated my home with plants and flowers (real or articifial ones) here and there. 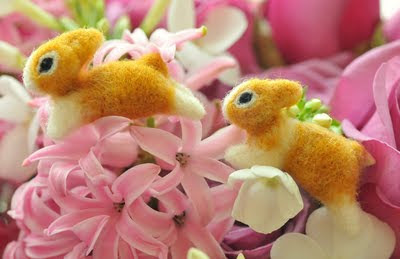 These flower arrangements become a very good backdrop for my small creations. 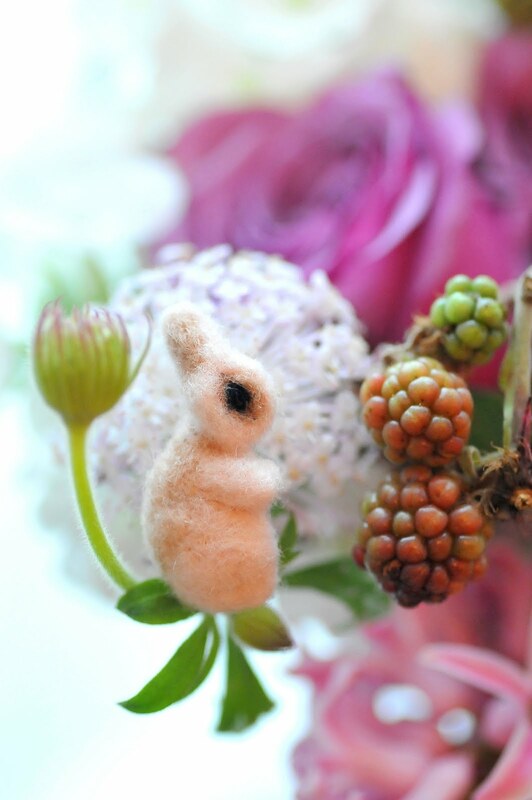 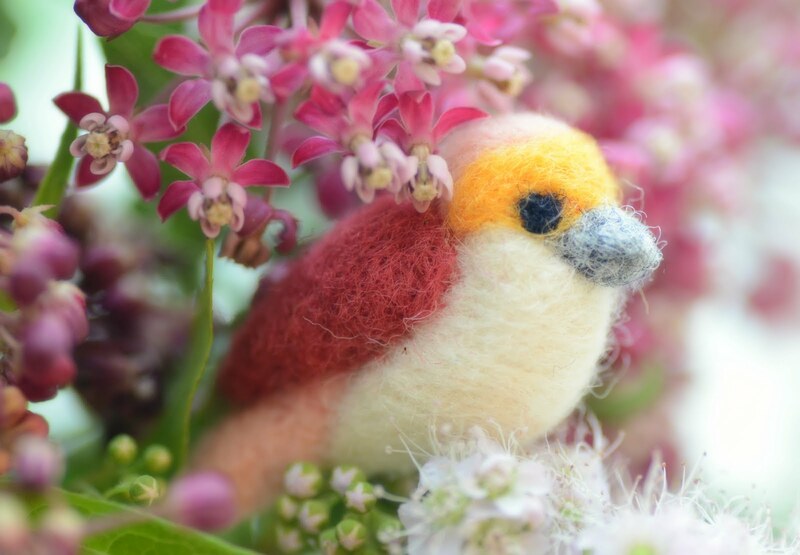 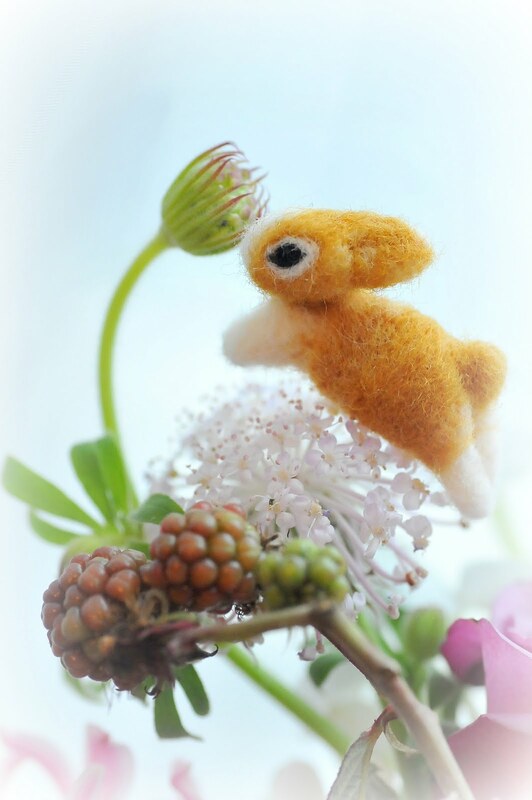 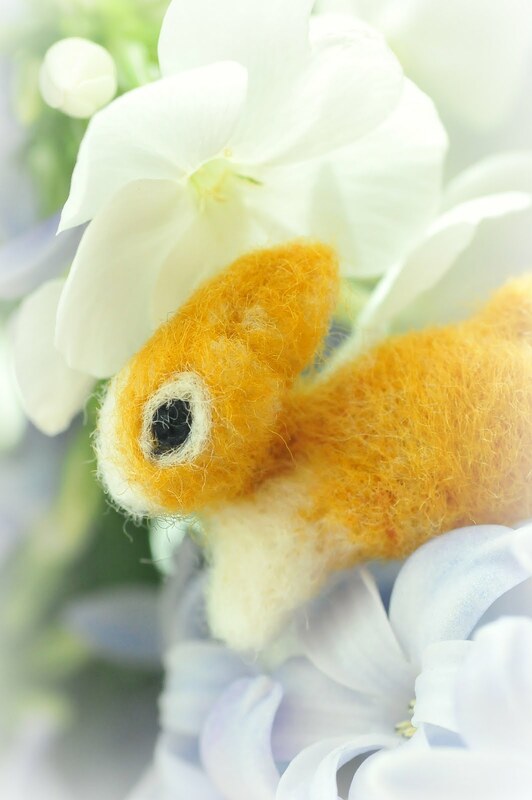 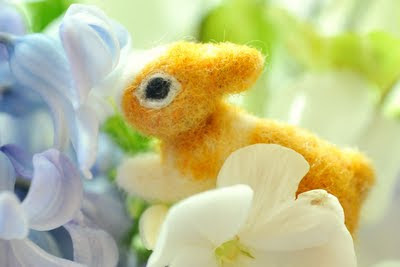 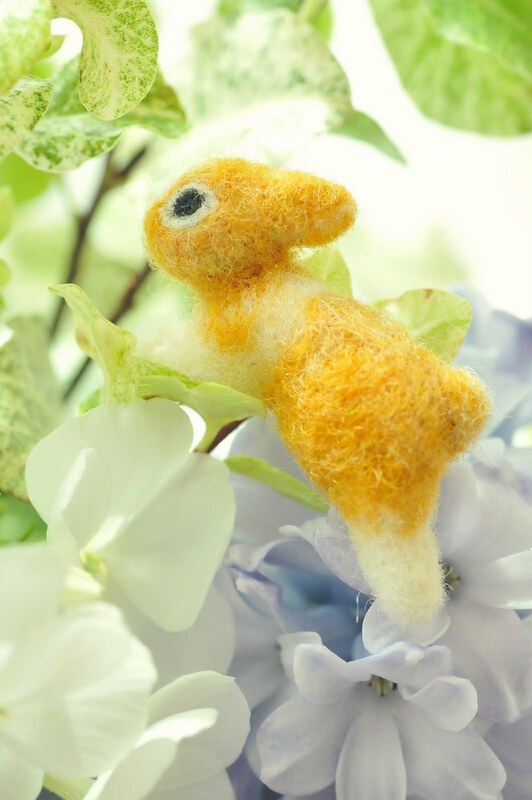 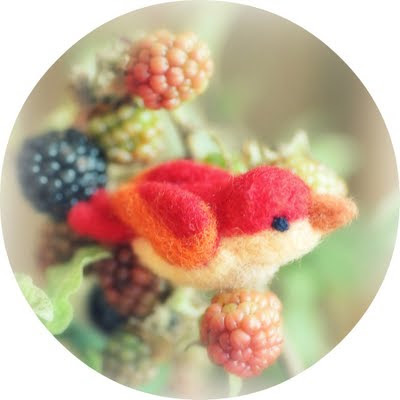 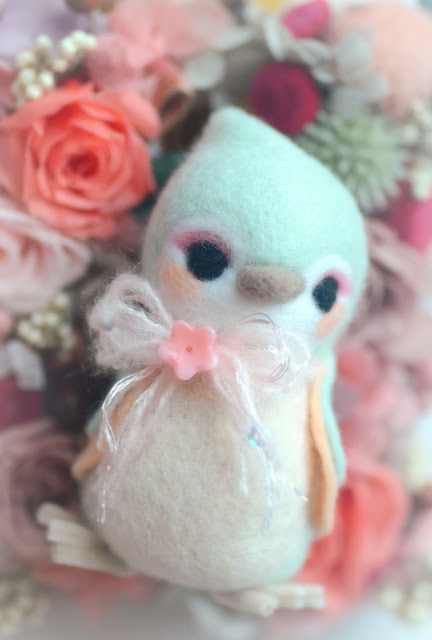 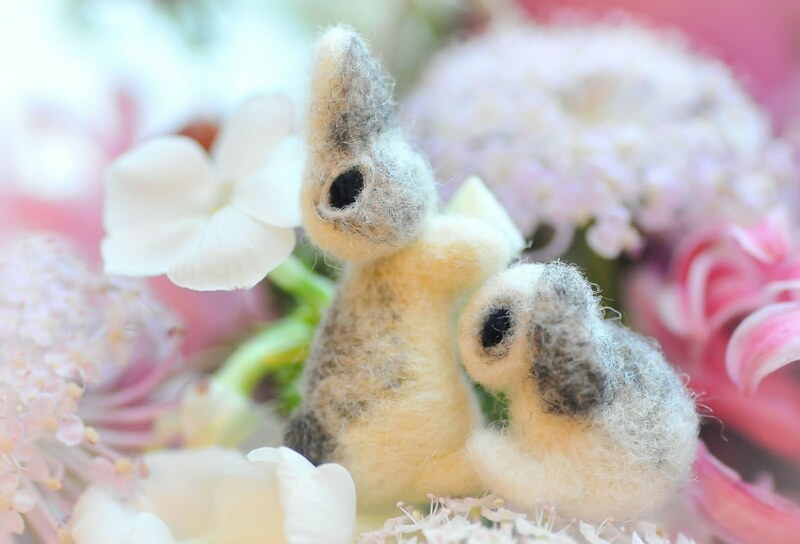 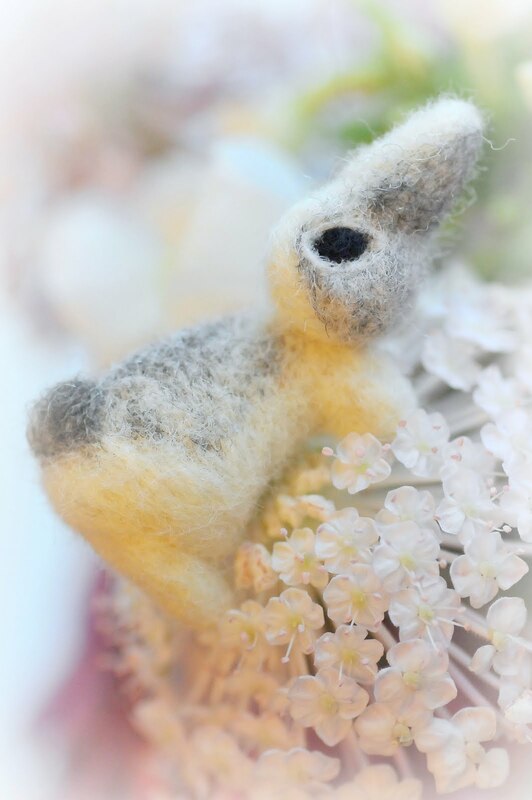 I love placing my needle felted birds and animals among the flowers, creating a dreamy and fairy tale like scene.